Front Row (left to right): *Rolf Jacobson (Luther Seminary), Inese Radzins (Pacific School of Religion), Bo Karen Lee (Princeton Theological Seminary), Roger Nam (George Fox Evangelical Seminary), Randall Woodard (Saint Leo University). 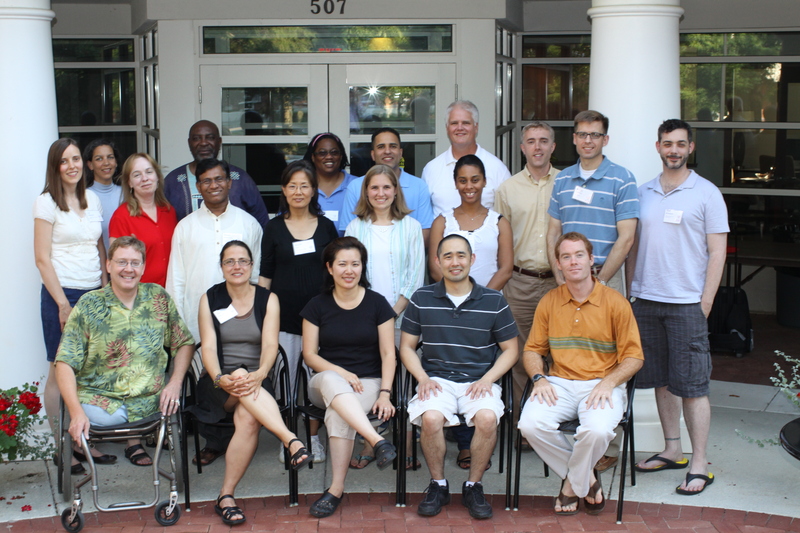 Second Row: Lea Schweitz (Lutheran School of Theology at Chicago), *Tracy Trothen (Queens University), Moses Penumaka (Pacific Lutheran Theological Seminary), Insook Lee (Hood Theological Seminary), Jessicah Duckworth (Wesley Theological Seminary), Keri Day (Brite Divinity School), Dwight Zschelle (Luther Seminary), Mark Brummitt (Colgate Rochester Crozer Divinity School). Third Row: Andrea White (Candler School of Theology), *Fred Smith (Wesley Theological Seminary), *Joan Martin (Episcopal Divinity School), Angel Santiago-Vendrell (Memphis Theological Seminary), *Thomas Pearson (Wabash Center), Dominic Doyle (Boston College School of Theology and Ministry).